Loren Dunton lived his entire life with enthusiasm and an adventurous spirit. He enjoyed an exciting bachelor life in Seattle, Alaska, and San Francisco before marrying first wife, Jane, at the age of 29. Loren and Jane had two daughters, Brooke and Page. At the age of 40, he and his family settled down to a country-club life in Colorado. At 45 he took up parachuting and published his first book. In 1965 he sold everything except for his home off of the 17th green, and took his wife and daughters on a year-long trip around the world. The booklet he wrote, "We Smiled First", recounted the family's adventures and revealed the secret for so much enjoyment that year. 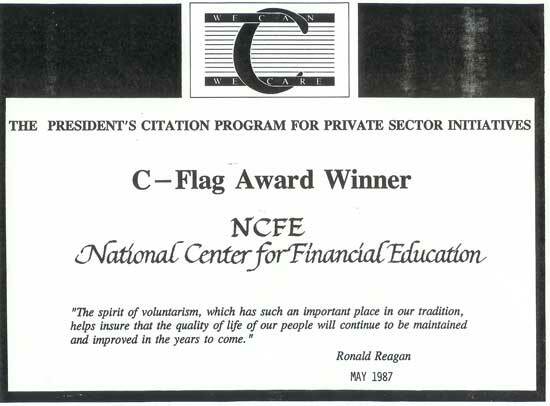 Mr. Dunton was the founder and president of the National Center for Financial Education (NCFE), a nonprofit organization helping people secure their financial futures. 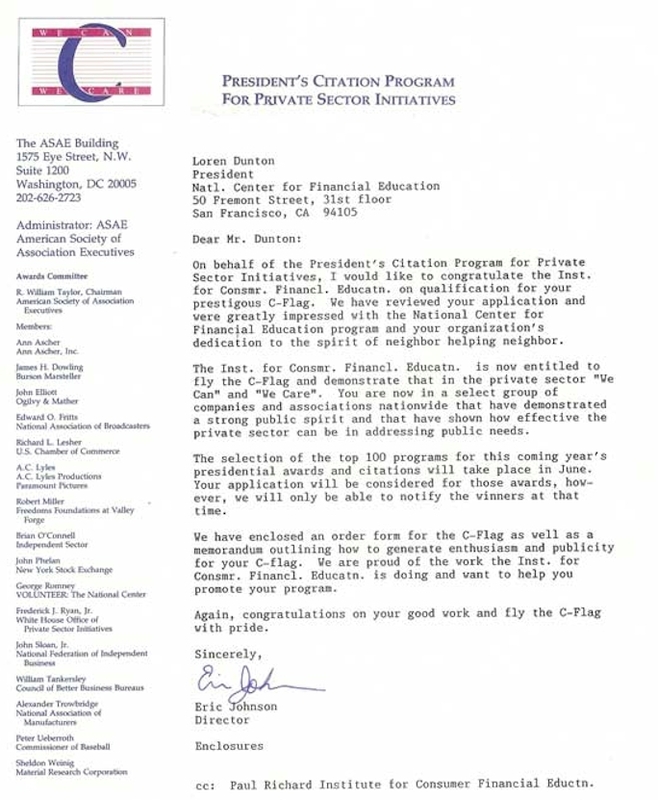 It is just one of several nonprofit groups he founded . . . after he retired. A prolific writer, Dunton founded and published The Financial Planner Magazine and authored a series of books and booklets dealing with money issues. At 74, he was actively speaking and writing and enjoyed at least 40 hours of work each week. Dunton, who identified Norman Vincent Peale and Paul Harvey as his heroes, points to a sense of humor, continued mental and physical activity and an interest in other people as just some of the tools that helped him enjoy the best years of his life. He lived in San Francisco, where he read, traveled and played golf with Marta, his wife of 15 years. March 26, 1997, San Francisco - Loren E. Dunton, an influential figure in the financial planning industry, died Friday (March 21, 1997) in San Francisco of a cerebral hemorrhage. He was born January 14, 1918 and was 79. Born in Trail, British Columbia, Mr. Dunton was the author of a dozen books about the financial world. Survivors include his wife, Marta Benko Dunton, of San Francisco; daughters Brook B. Manu of Hawaii and Page Lambert of Sundance, Wyoming; and three grandchildren. Services were private. A memorial service is planned for later in the year, a family spokesman said. 8. 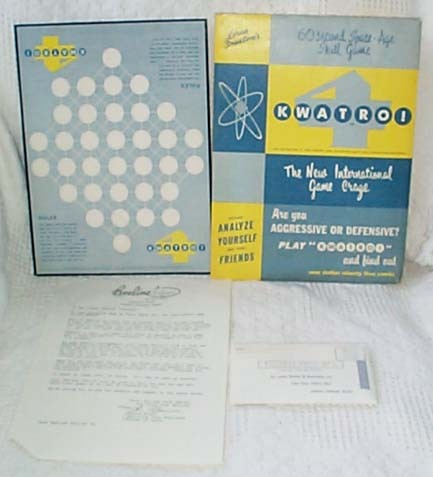 "KWATRO, 60 second Space-Age Skill Game" as shown. Copyright 1966 by Loren Dunton. Parts of this article is republished, for educational purposes. Text and images carry the copyright of their respective creators. This page may be freely linked but not duplicated in any fashion.